For those looking for a way to drag your children, adult family and friends away from technology even for a short time, here is an ideal solution. This incredibly smart book has been created for exactly that reason. 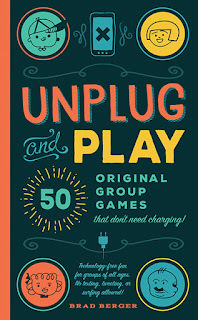 The book is full of interactive games that require only people, pen and paper. Cleverly compiled detailed games are accompanied by objectives, scoring, notes, and examples that ensure complete understanding of the rules and method of play. 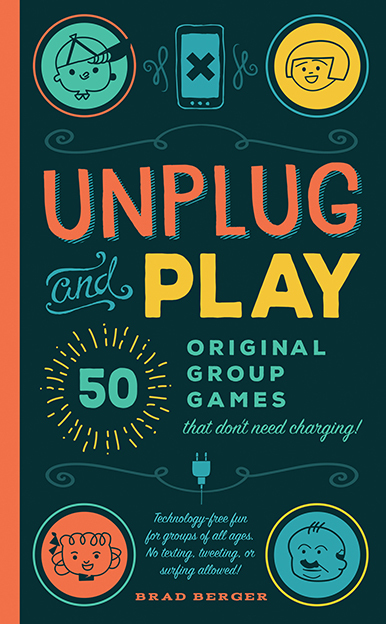 These 50 original group games were crafted by Brad Berger to again bring together groups of people in a friendly, fun and entertaining atmosphere without external interruptions, flat batteries, or recharging. The games continuously encourage quick thinking and use of imagination. They test your general knowledge, and challenge your brain through creative thinking, concentration, and memory recall. People of all ages who love Family Feud, Wheel of Fortune, or any type of quiz or popular game show, will welcome this book as a way of reclaiming human interaction instead of electronic entertainment. Beautifully designed in every way, with brilliant retro cover and internal artwork, each page has a coloured strip edge, with the sections listed for easy referral. The end papers are a delight and a reflection of what the book stands for.